As the hurricane season is approaching you can never be too careful to actually think of emergency food kits a bit earlier. As we talk about emergency food you probably start imaging some bleak, hard-to-chew and boring tasteless meal. Well, we’ll disappoint you, as there are actually such great emergency products on the market that they are suitable even for an ordinary home breakfast, lunch or dinner. No longer does food for emergencies have to be tasteless and nearly repulsive as in the past. 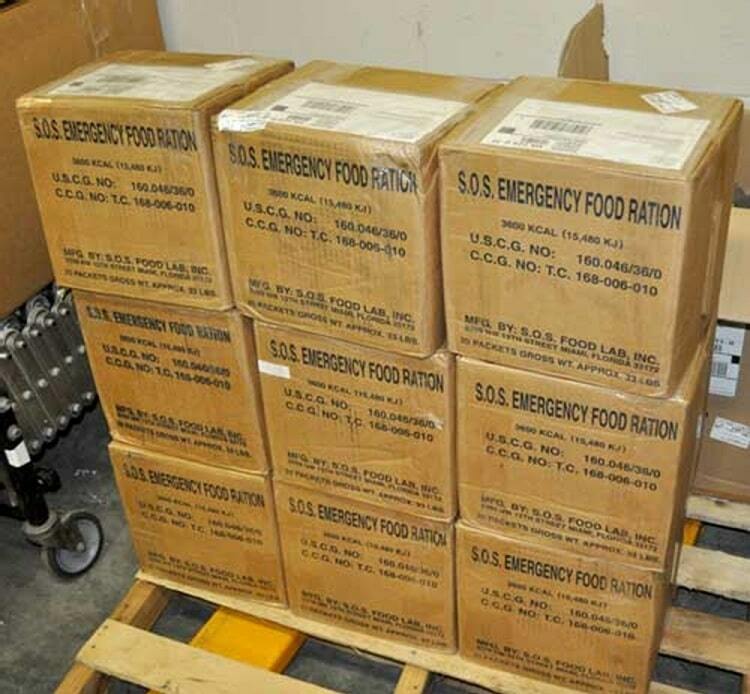 There are some great manufacturers who score with some of the best emergency foods on the market. We’ll introduce for you some of the best of these products. For most of them you may need simply water (lukewarm – you don’t even need to boil it) and then soak the food in it. Within minutes you’re set and ready to have your tasty mouth-watering meal. You can pack as many of these products are you want, since they are manufactured in such a way that their shelf-life is nearly a full decade (and possibly more). 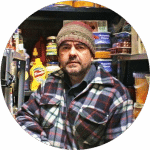 One of the best options we found is Nomad Nutrition, a great emergency food supplier for preppers everywhere. Even more, we reached out to them and got you 10% off on all orders (even when you re-order). Just add the SRVMA10 code when you checkout! 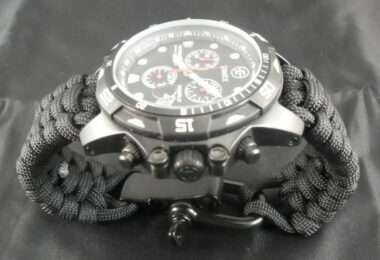 Another great manufacturer in the survival category is Mountain House. The company is loved by thousands of happy customers, including environmental enthusiasts, survivalists, ordinary families purchasing emergency products, hikers, campers and hard-core mountaineers. 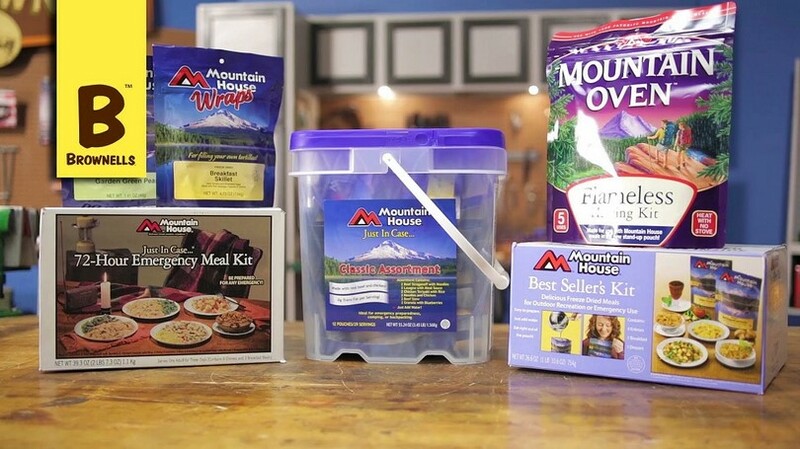 One of their full packed kits is the 72-hour Mountain House kit. This kit has three meals per day, for three days, and is for one person. The food is freeze dried, so its shelf-life is pretty long. Due to it being freeze dried it takes only warm water to soften it and make it tasty and edible. Many people are quite surprised how tasty their meals are and how much they resemble a home-made similar meal. For example, this kit contains granola bars with blueberries and milk, scrambled eggs and bacon, beef Stroganoff and noodles, chicken with rice, and pasta Primavera. The entire kit weighs 60 oz. (each pack is 10 ounces). 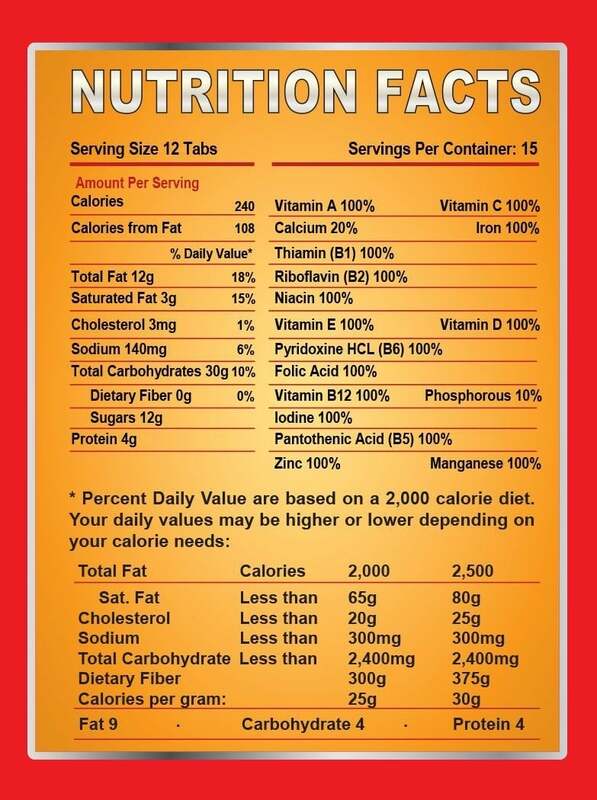 The only thing to consider before committing to a purchase, is that each meal serving contains about 250 calories. This may leave you hungry at the end of the day. If you think this won’t help you go through a tough hurricane period or emergency situation, you can pack more of these to be sure you have some extra meals in case you need them. 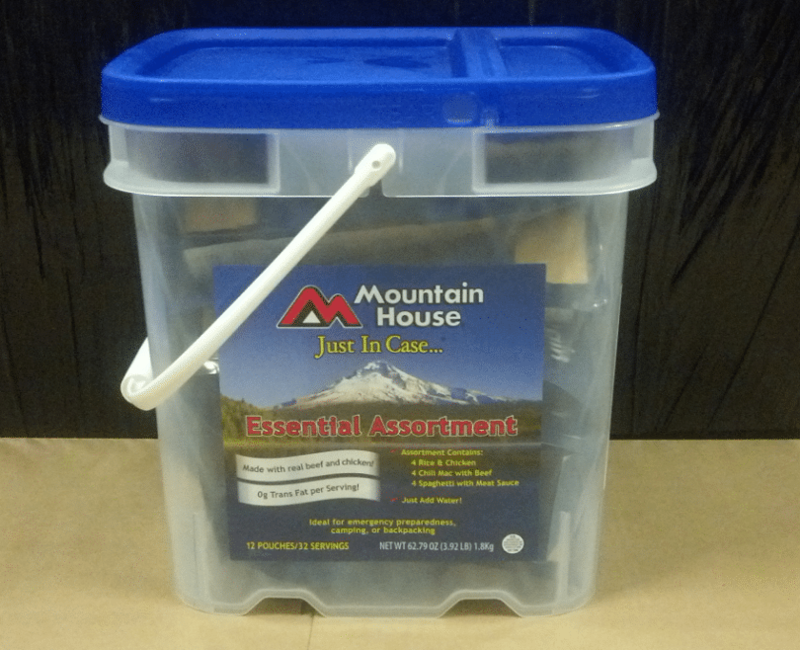 So, if you need to pack more, you can get a full bucket, again by Mountain House, the so-called Classic Bucket. The amount is double and the price is much more affordable for the amount of food you’ll be getting. The meals are essentially the same, but there are two packs of each. The total amount of servings is 29. A similar product is the Breakfast Bucket again by Mountain House. It contains again 29 servings, total of 16 meal pouches, with scrambled eggs and ham, eggs with bacon, granola bars with blueberries and milk and breakfast skillets. As the name implies, these meals are supposed to be for breakfast, but they can effectively be used for any meal, especially in an emergency situation. A few customers think that the sodium content is slightly higher and anyone with blood pressure issues may notice this, so keep that in mind. Speaking of buckets with emergency food kits, you should also consider other items you might need in the case of an emergency. So, if you’re not yet prepared, take a look at our 72-hour kit ideas – we discuss items you will need according to the type of emergency. 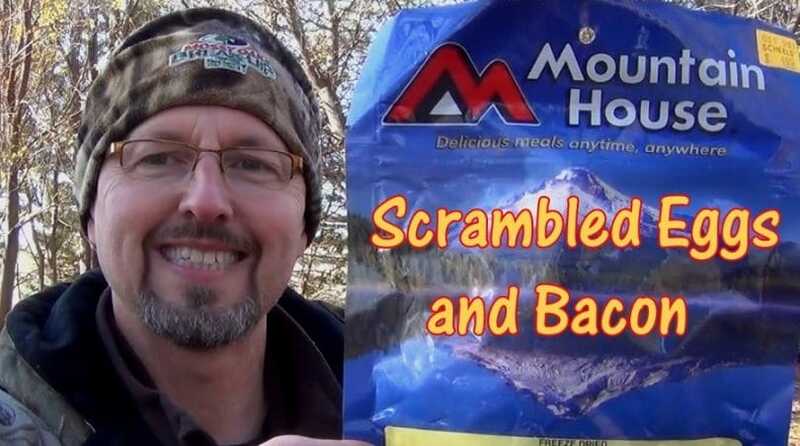 For example, you can purchase only one meal pack, like the Scrambled eggs with bacon so that you can have a first-hand experience with the Mountain House products. You will get a general idea of the taste they achieve and whether the sodium content may be a problem for you. 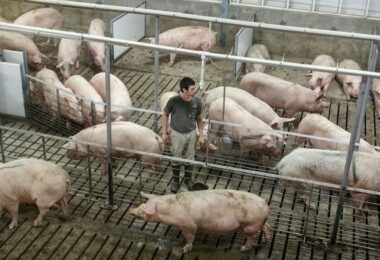 Overall, you will not be disappointed if you purchase any of the above options, since they are nutritional, tasty, light-weight and will serve their purpose. Another emergency kit is the S.O.S. Rations, 72-hour package by S.O.S. Food lab. The products they make have an average shelf-life of about 5 years from the manufacturing date onward. This particular product offers 9 food bars and as an addition it also has 4 pouches of clean purified water. There are also two additional Millennium bars, each of 400 calories. The entire kit weighs 5.1 pounds. Also, the meals and bars are tightly packaged so there is very little risk of spillage. They are vacuum-sealed for additional protection of the food and prolonging the shelf-life. As a result they take very little space, if you’re backpacking or if you’re trying to make room in your emergency safe room. Another reliable emergency food kit is the LB1 High Performance 8-Day survival tabs and food supply meals. The shelf-life is much longer according to the manufacturer in comparison to the above products. This emergency kit also has loads of the most vital minerals and vitamins, while at the same time it is gluten and GMO free. 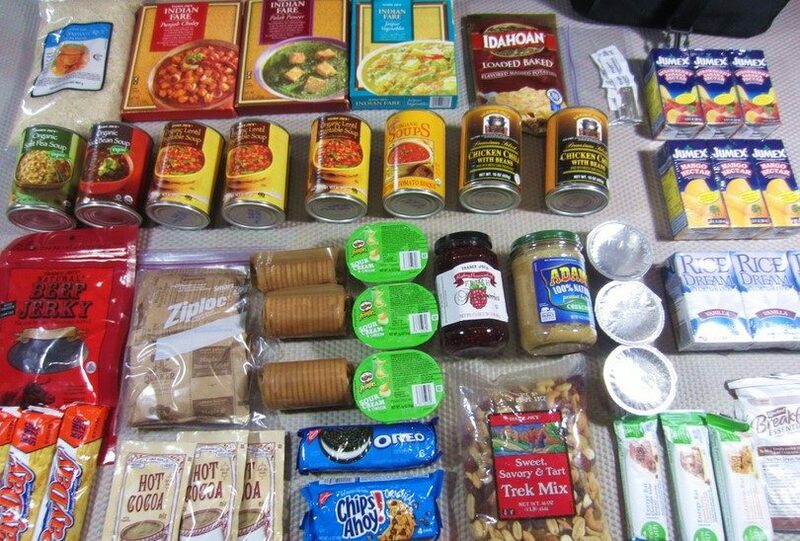 Again, the emergency kit is designed for one person with meals for 8 days. It contains a total of 96 tablets and includes 12 chewable tablets with 20 calories per tablet. One customer shared that two tablets were enough to satisfy his needs for food for the time being. Almost everyone shares show 2 tablets filled them very quickly. This is a great way to store highly nutritional food in small amount, thus keeping the entire kit light-weight. 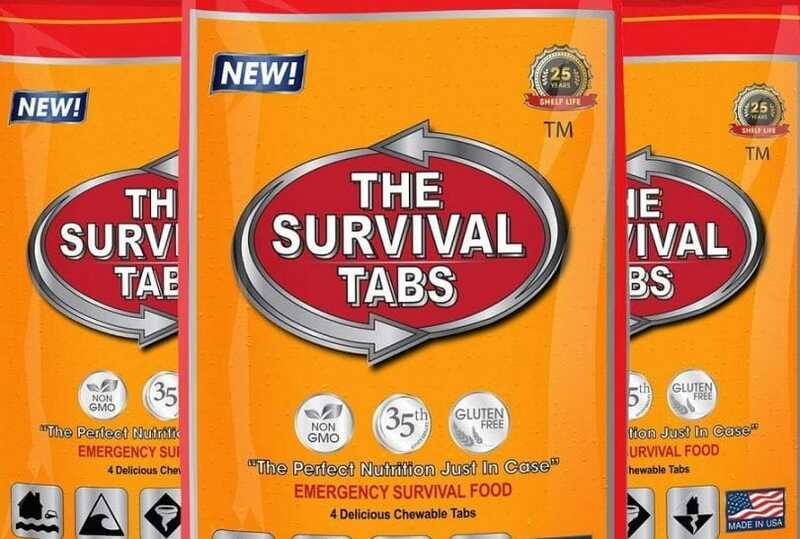 If you want to experiment before committing to a larger purchase, you can try the smaller Survival 2-Day tabs. They are essentially the same, but provide smaller amount for much lower prices and you can test the product in safe conditions. You will have time to evaluate the tablets and determine whether they will work for you. You may find it surprising but the shelf-life of this product can amount to 25 years. The tablets come in different flavors including strawberry, chocolate, butterscotch and vanilla. 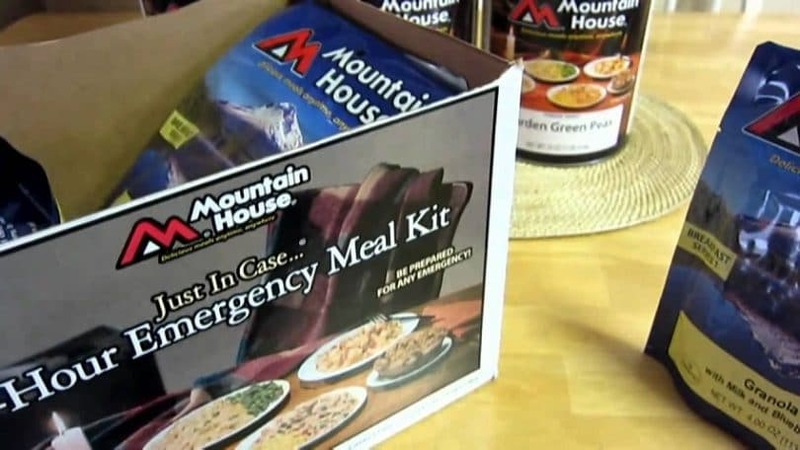 Another food emergency kit is the Meal Kit Supply’s MRE with 5-year shelf-life. The Meals, Ready to Eat (MRE) are very popular usually among military and air-force personnel. Nonetheless, they are also available for the general public, which definitely likes these packs. This particular product has 6 meals per pack, which contains nearly 600 calories per meal. 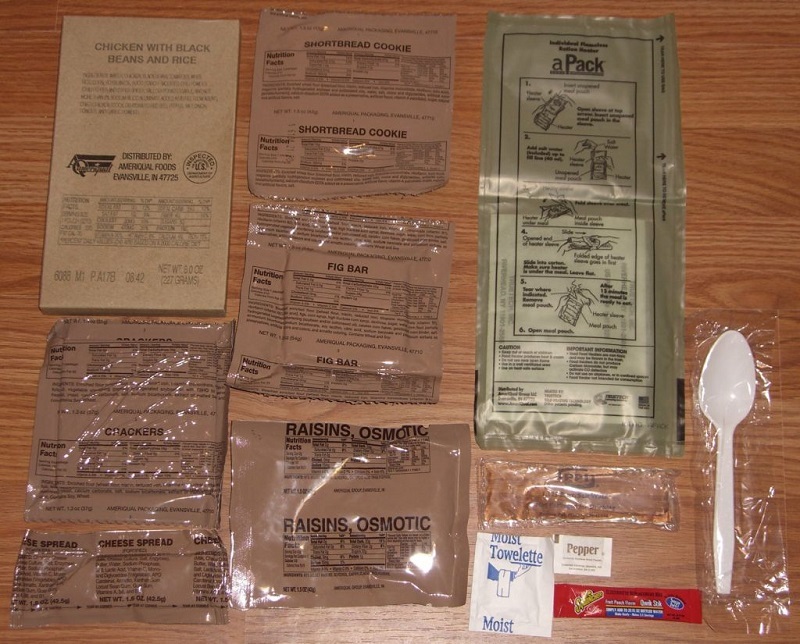 This is much more than the above listed products, but the MRE could be slightly pricier. 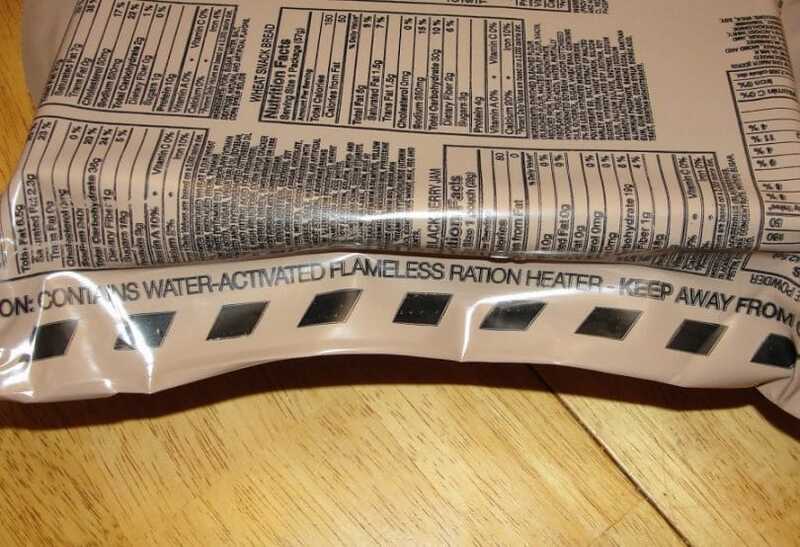 This product also ships with flame-less ration heaters, so you don’t have to worry about how to cook them. The package also contains a spoon and napkins. The product has a relatively long shelf-life – of up to 5 years. All the meals are 2 breakfasts and 4 lunches/dinners. The product also offers an electrolyte orange beverage, in cases when you feel dehydrated. This drink will replenish your water and electrolyte body stores. What’s great about this product is that it weighs very little, takes very little space in your backpack or emergency kit and, as the name implies, it’s ready to eat. The heater works perfectly (according to most users) and you’ll have a nice meal ready within minutes. This product is a small version of the MRE 12-pack. When it comes to the hard-core 12-pack, each meal comprises the whopping 1300 calories, which can definitely last much longer and kick aside any hunger you may have had. It also comes with heaters and has 12 unique menus. The packs are vacuum-sealed and no rodent or vermin can break a hole in the package. It’s water-proof and even impact-resistant, to protect the contents. The entire 12-pack product weighs 20 pounds, but it’s great for larger families expecting heavy storms or hurricanes. It has 4 breakfasts and 8 lunches/dinners. It can hold up to a week during a disaster/emergency situation and won’t disappoint you. Each meal is packed with all the necessary vitamins and mineral required for optimal body function and health for the day. Also, this product is among the top such products with such a high calorie content. It also has cocoa beverages ready to be mixed with water (as they are in a powdered form). You will also get coffee, sugar, salt, and even pepper. Along with them you get spoon, napkins and wet tissues. Almost all customers share that they were quite surprised at the great taste of these meals. Most of them could look at the raw content, before cooking it in water, and thought that this just couldn’t taste good, but were proven wrong. Nearly everyone enjoyed these meals and would purchase again from the manufacturer. One person, who used to be in the military, shares his experience that these MREs taste far better than the military versions (it’s illegal to sell MREs to civilians) and as he had consumed the military MREs he’s very happy and surprised at the great quality of this product. He highly recommends it. Still, if you want to make sure your MRE will actually taste the best, take a look at our homemade MRE recipes and instructions. 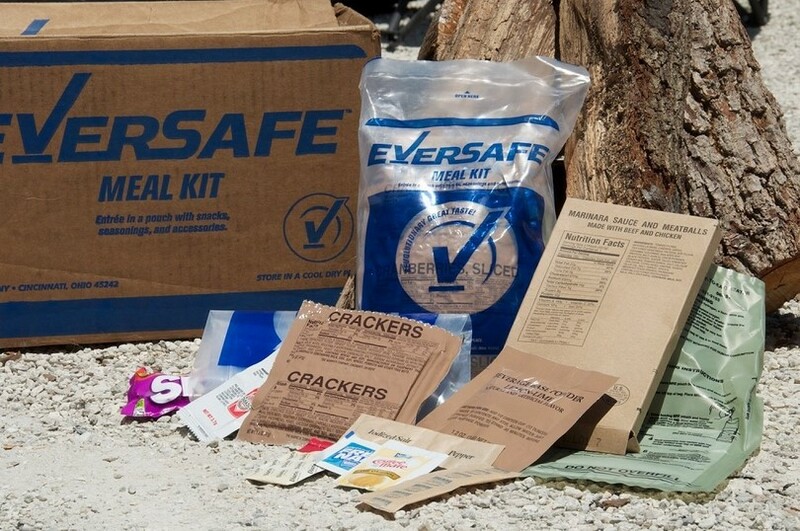 Another brand competitor in the MRE field is the Sure-Pak. Their Full Meal Single is a great way to get started and explore the meals and tastes. It’s always a better idea to start small and when you’ve determined whether you’re pleased with a certain product you can then commit to a larger amount. Each meal in this pack contains from 900 to 1250 calories (depending on the meal, you can read the label on each pack). In the product package you’ll find one entree, crackers, snack, type of spread (peanut butter or cheese). You’ll also find dessert, powdered drink and also a spoon. There’s also the typical flame-less heater. You also have the option to order different types of meals, you don’t have to stick only to beef or pork. If you prefer one, you can order that. It’s easy to customize the product before you purchase it. In order to keep the shelf-life to a maximum, keep the product stored at no more than 60 degrees F. Higher temperatures will shorten its life. On the other hand, the manufacturer doesn’t recommend freezing as it may make it difficult to use the heater on the food after removing from the freezer. All of these pre-packed kits we discussed above can be assembled by you. For example, you can set aside some products that have genuinely long shelf-life. A great example of these are peanut butter, crackers (the brand you like), nuts, cereals, granola bars, protein and energy bars, dried food, fruits and/or herbs, canned food (fish, beans, tuna, chicken, peas), powdered soups, etc. All of these can stay perfectly edible for several years if kept in low (but not necessarily freezing) temperatures. You can compile your own list of favorite foods, keeping in mind that freeze dried, dried and canned foods are your best option. Dried food and powdered food is very light and can be packed in bulk. As long as you have prepared water (make sure it’s clean or purified/filtered) you will almost always have some meal ready to eat. You should only keep in mind that you will need some portable stove to set the water to boil or at least to warm it, since powdered or freeze dried food needs some warm water to more easily and quickly dissolve and turn to an edible meal. 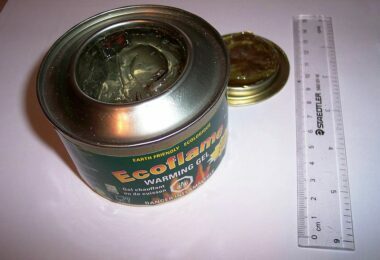 For this, you should take a look at our best backpacking stove reviews – all these products are portable and easy to use in any type of space. You can also pack instant coffees, cocoa powder and sugar for some energy boost, including powdered milk. You can also pack yourself salt, pepper and other favorite spices. It’s morale-boosting to have meals, spices and drinks you’re used to on a daily basis. Preparing your food emergency kit yourself can give you that freedom of choice so that you know what you’ll find in your kit and you know you’ll enjoy it. Don’t forget to also pack multivitamins and supplements. They can support your health throughout the emergency situation and keep you healthy along the way. After all these emergency foods can’t keep you healthy for very long time, as most have far less nutrients as fresh food, fruits and vegetables. And again, all of these can be a full pack, which you can rely on. You can store as much as you need, and also think of emergency situations when you need to immediately grab the kit and run for your life. Consider also keeping such a kit in a safe room or shelter (or even your basement) in case you need to protect yourself during severe hurricanes, storms, tornadoes, etc.